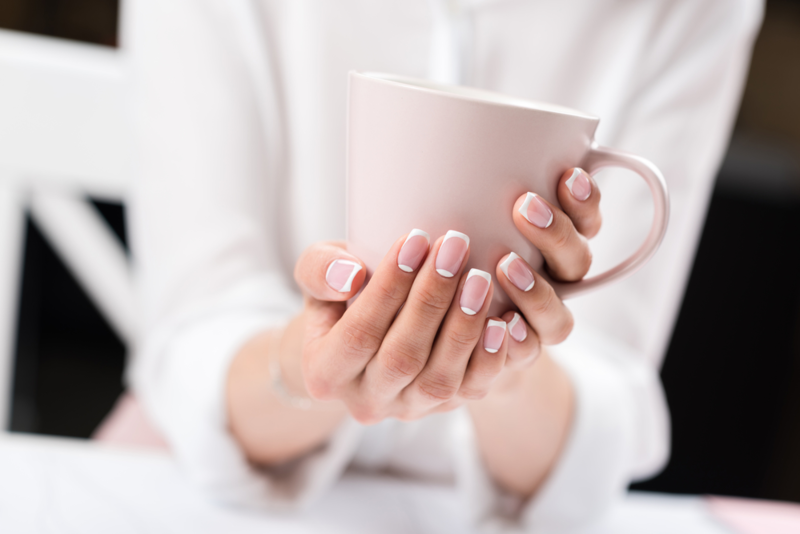 Not everyone feels like they have time for a manicure, but it’s a great way to pamper yourself, walk away with beautifully polished nails, and gives you time to destress from the busy agenda called life. Salon manicures aren’t just for special occasions. In fact, scheduling regular trips to the salon can bring important health benefits to your beauty routine. Your hands take the brunt of all the elements we come into contact with every day. Washing dries out our hands while the dirt and dead skin cells accumulate without proper exfoliation. This leaves your hands dry, dull, and oftentimes looking older than they are. Simply applying hand cream doesn’t help since it cannot properly penetrate pores that are blocked with grime and dead skin cells. A professional manicure at Tru Salon + Spa includes exfoliating steps to remove all the excess build-up and help lock in moisture. Exfoliation helps the anti-aging process because it stimulates collagen production and skin renewal. This is a must for your hands, because like your face, your hands are always out there for the world to see. Unfortunately, fungal infections can happen to anyone, even with regular hand washing. It’s important to treat fungus early before it becomes a problem. With regular manicures, your professional esthetician can spot developing issues like fungus and treat them before there is a problem. Manicures have a massage component, and this is important to stimulate blood flow. More oxygen is delivered to your skin cells with regular massage, resulting in better skin health of your hands. Take the time to unplug from your busy schedule and let us pamper you with a stimulating manicure. Our team at TRU Salon + Spa is here to help you give your hands and nails a younger looking appearance. Give us a call at one of our two locations - Branchburg, NJ (908) 218-9878 or Warren, NJ (908) 753-9878, book online, or download the app for free from iTunes, Google Play, or Amazon.